Taking a breather from two back-to-back Saturday craft shows. 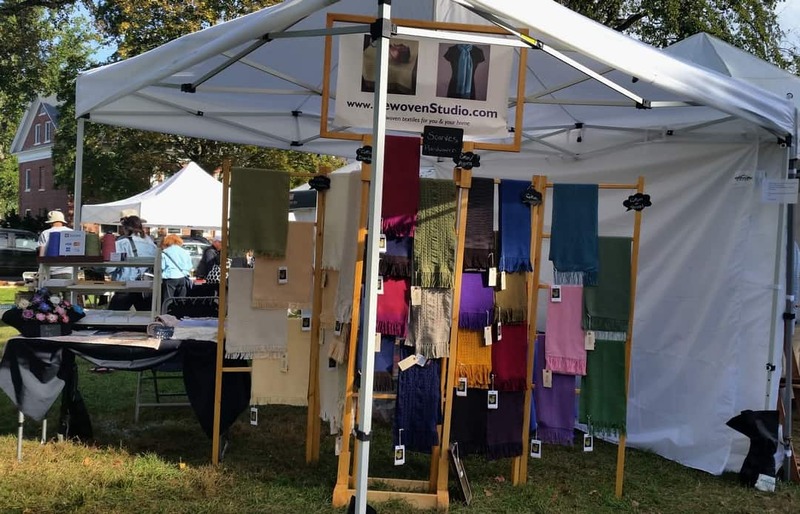 On 9/26 Bewoven Studio joined other area craftspeople for the Apple Harvest and Crafts Festival on the Amherst MA Town Commons. 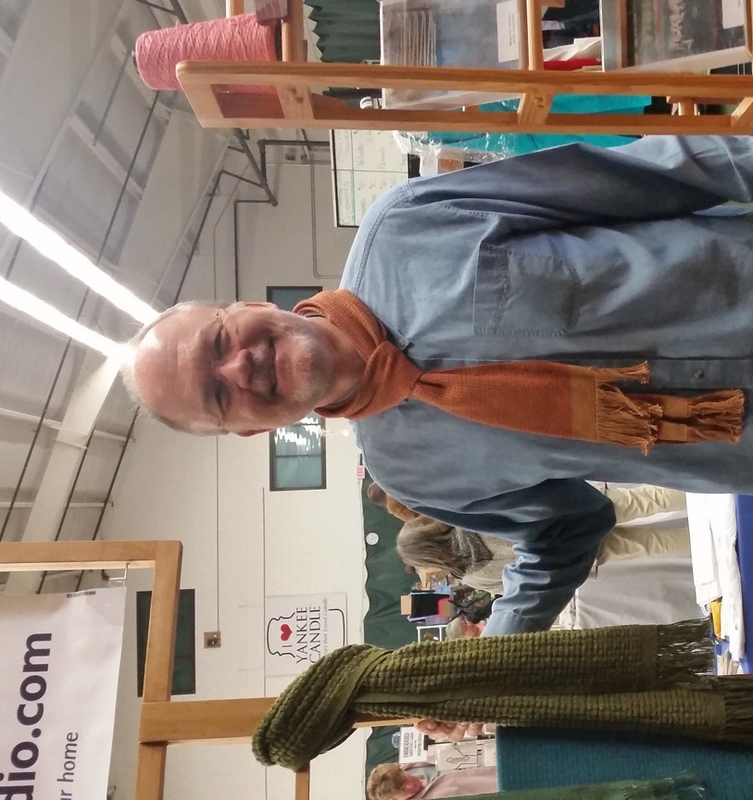 This past Saturday, October 3rd, Bewoven Studio participated in the Artisans of WMass 2015 Fall Craft Show. The quality of the work of my fellow artisans was so impressive. Here’s just a sampling. Many, many thanks to all the craft lovers and supporters of the buy local movement who patronized and shopped the show. Thanks to all my customers!!! 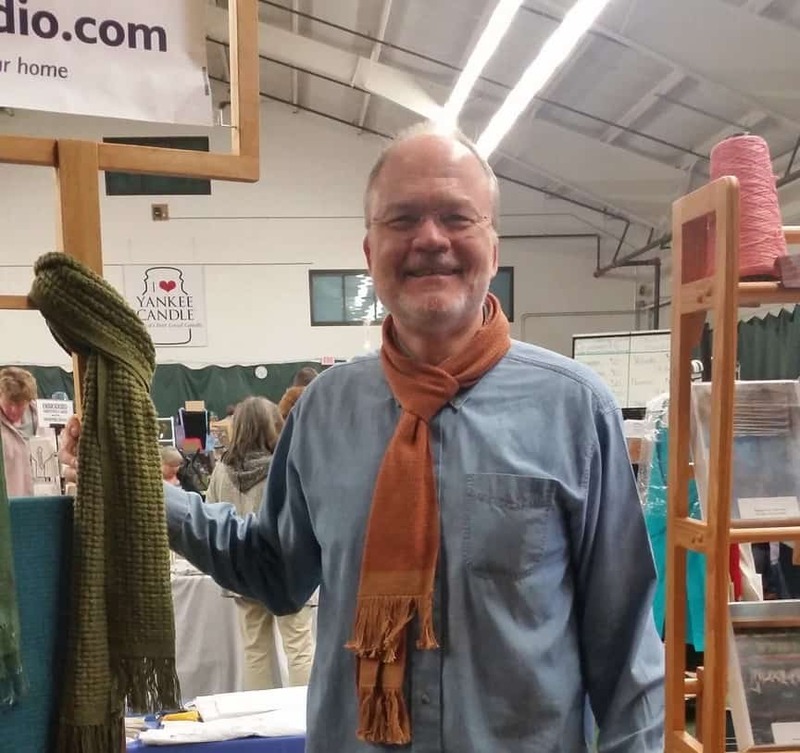 FYI: I’m wearing my latest Mosaic Twill Scarf featuring a Camel cotton warp and a Sienna Sunset bamboo weft.